Iz awl ‘bowt kittehs liek me! Conga sno wite kitteh annipuss. 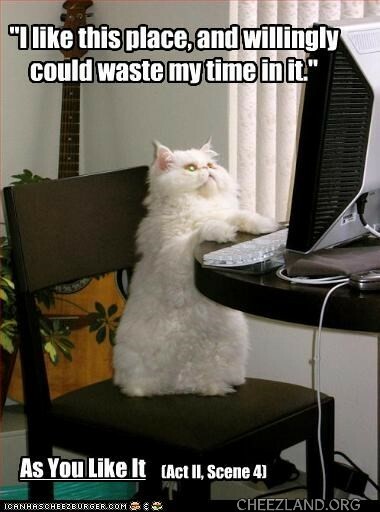 Gud website… iz called cheezland. U herd ov it? new aviator-i will only show my sad for a day. Awww, suitee pi… sew sad. santa cud b scary lukin. mai twincat an ai wood cry an squirm awn santa’s lap.